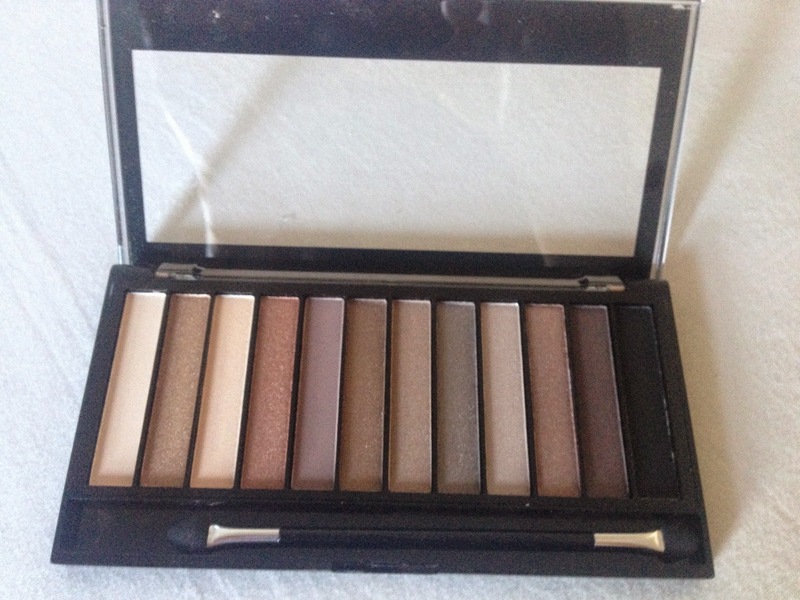 If you're familiar with the brand then you know the drill; it's a £4 dupe of one of the Urban Decay Naked Palettes (in this case Naked 2), so contains a mix of 12 neutral shades both shimmer and matte. The packaging of the Redemption palettes is sleek and simple. 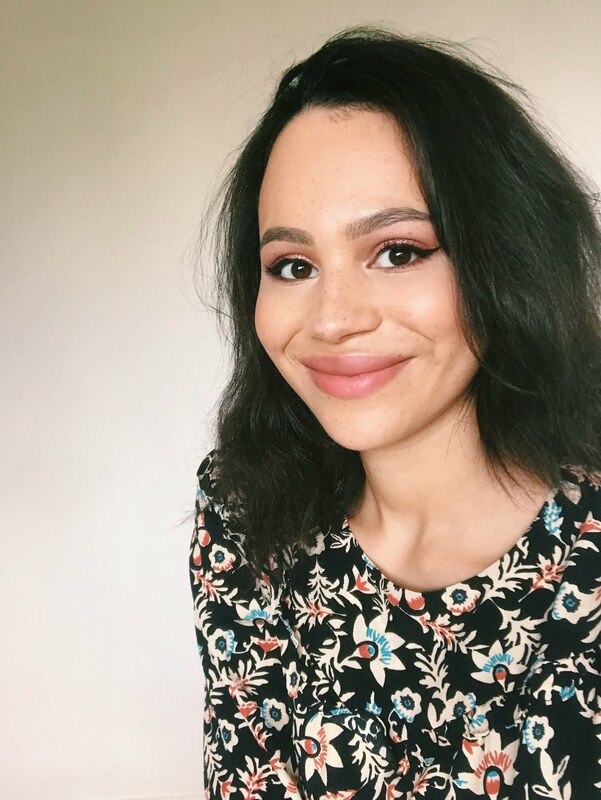 One of the reasons I gravitate towards Makeup Revolution (besides the great quality of their products and the vast range!) is because the packaging doesn't look cheap. I don't think that if a friend was looking through my makeup collection that they'd single this out as costing so little, which is great. I also like that there's a clear panel so you can see which palette you're picking up. So, onto the shades! This palette leans towards cooler tones, mostly taupes and silvers, which is a little less 'me' than the Iconic 1/Naked 1 but that's personal taste. The shades don't have names, so I'm just going to number them 1-12 from left to right as they appear in the above image. This isn't the most pigmented shade in the world but still a lot better than most light-coloured mattes. It's your standard off-white matte which can be used as a highlight or a base colour. There's a little bit of fallout with this shade but I find it lasts me all day. This is a really nicely pigmented true gold shimmer. Again there was some fallout but I think this was one of the most long-lasting shades. This is sort of like the shimmer version of Shade 1. As it's a shimmer the colour pay-off is a little better. Again you can use this to highlight the brow bone or the inner corner of your eye. I'd say this fades a little quicker than the matte one and there is a similar amount of fallout. I really like this shimmer and tend to use it quite often as it's so different to all the others so really adds a nice pop of colour. I'm not sure how to describe it; it's a sort of burnt salmon (if that's even a thing!). Again the colour payoff is great but there's fallout. I find it fairly long-wearing. This lilac-toned grey matte is my usual crease colour when I use this palette. I think the colour payoff could be a little better but as with Shade 1, I've had similar mattes perform a lot worse. There is a little bit of fallout but it's fairly durable. This is a sort of tarnished bronze shimmer. The colour pay-off for this one is really nice and I find it does last me throughout the day. The fallout for this shade is pretty bad, however! This is a muted gold shimmer. The colour payoff isn't as amazing as with some of the other shades but it's still pretty good. There was quite a bit of fallout with this one. This one doesn't last me quite as long as some of the others. This is a dark silver shimmer which is really pigmented. There's a fair amount of fallout but it lasts fairly well throughout the day. This is a lighter silver to Shade 8, it's a really nice shade to brighten things up a little. The fallout isn't as bad as with Shade 8 and again I find this pretty durable. This is a sort of tarnished metallic pink shimmer. This is another shade I really like as it breaks up the grey and silver. It's really nicely pigmented and the fallout is pretty minimal. I also find this one lasts really nicely. This is a nice shade for creating a smokey eye; it's a muted dark plum shimmer. The fallout isn't too bad on this one and I think it's pretty durable. 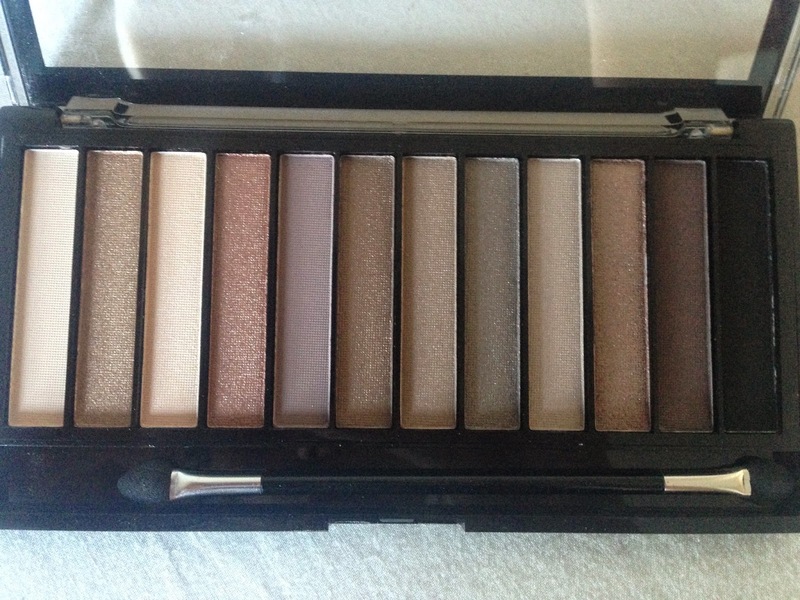 As with Shade 1, the colour payoff is way better in this palette than with the MUA equivalent (Undress Me Too). The only negative is that I find this one a little tough to blend in (not an issue I had with any other shade). There is some fallout but not so much as with the other shades. It's reasonably durable. I used Shade 1 as a base and to highlight the brow bone, Shade 5 is in the crease, Shade 6 across the lid (on top of 5) with a bit of Shade 4 dotted on top of it and Shade 12 is smoked into the outer v.
Some things that were consistent across the palette were that all the shades were a very nice, silky texture. Not a single one felt chalky. One of the negative things was that all the shades had some fallout, though some more than others. Even if you're like me and warmer tones are more your thing, this is really worth having. The shades are great for everyday wear and you can create some amazing nighttime looks too. It's really nice that you don't have to spend £37 to try out the shades, so if you've been eyeing up the Naked 2 I'd recommend this even just to have a play with the colours. Excellent value for money and I'd recommend it to anyone, as it's really universally flattering. You can't really go wrong when it's £4 for 12 high-quality eyeshadows! 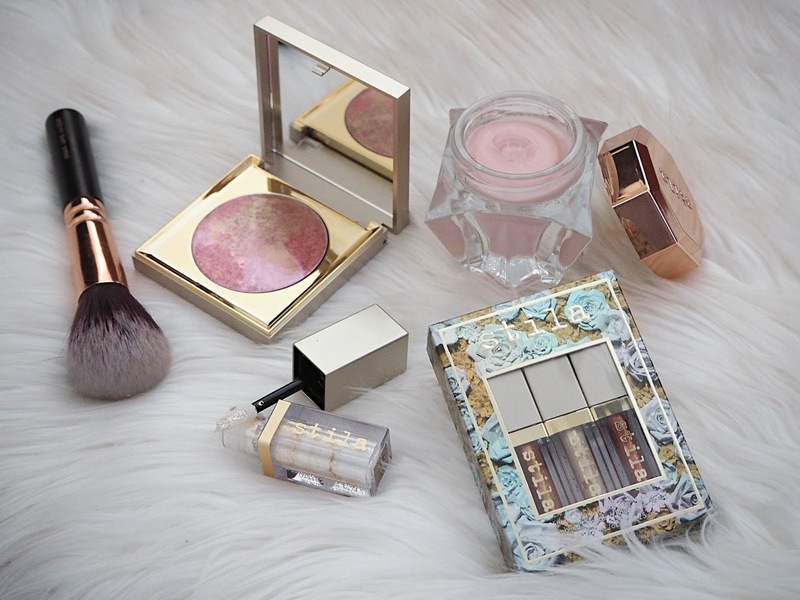 Some of these shades are lovely! I'll definitely have to give these a try - such a bargain! Aside from the fall out they sound great.